So much for the Trojan Horse theory. 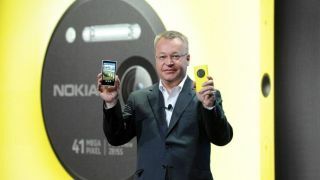 You might recall that when Stephen Elop moved to Nokia from Microsoft, some observers suggested that he was a Trojan Horse: he'd bring Nokia to its knees so Microsoft would end up buying its phone business. Today, Microsoft bought Nokia's phone business - for considerably less than it paid for Skype - and Elop is being tipped as the next Microsoft CEO. This is a very different acquisition to Microsoft's earlier phone firm buyout, which resulted in the ill-fated Kin. This is much bigger, and much more significant: it's Microsoft admitting that its business model, in the consumer space, is broken. If Steve Jobs were still around, he'd be chuckling today. Microsoft's business model has always been pretty simple. Other people make hardware and Microsoft makes the software that runs on that hardware. There have been a few exceptions - Microsoft mice, for example, and of course the Xbox - but for Microsoft the big money has always been in software. The margins on software are massive, because once you've written the code the cost of duplicating it is effectively zero. Once you've covered your basic costs - development, marketing and so on - selling software is effectively a magic money machine. That only works if you're actually selling software, though, and in mobile Microsoft isn't. If it weren't for Surface RT, most of the planet wouldn't even know what Windows RT was. Windows 8 tablets aren't doing brilliantly. And if it weren't for Nokia, Windows Phone wouldn't have significant market share either: manufacturers such as HTC and Samsung are merely paying lip service to the idea of supporting Microsoft's OS. They're much more interested in Android (and in Samsung's case, Tizen) and likely to become more so now that Microsoft is a competitor as well as a licensor. Microsoft wants to make a bigger impact in mobile, and it has decided that the best way to do that is to do what Apple does: going vertical, making not just the hardware but the software and services that hardware runs. Microsoft, quite sensibly, wants to make the forty-dollar margin Nokia gets on its handsets, not the ten dollars Microsoft makes from selling an operating system license. It wants to sell you the hardware, provide the OS and operate the app store, just like Apple does. The big question is whether it'll work. Microsoft's track record in mobile isn't superb - Windows Phone was desperately overdue when it finally launched and the aforementioned Danger acquisition was an utter disaster - and Nokia's smartphones haven't been doing as well as Microsoft had hoped. Microsoft may be hoping to emulate Apple here, but Apple isn't the only example of vertical integration in the smartphone business: there's another famous firm that makes the hardware, makes the OS and runs the App Store - a firm that isn't doing nearly as well as Apple. And by "isn't doing nearly as well", I mean "is currently circling the drain". Its name, of course, is BlackBerry. So Elop is Microsoft's new crown prince: but is he the best choice for the top job?